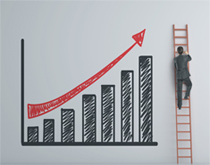 A game-changing mobility as-a-service solution for partners and their customers. 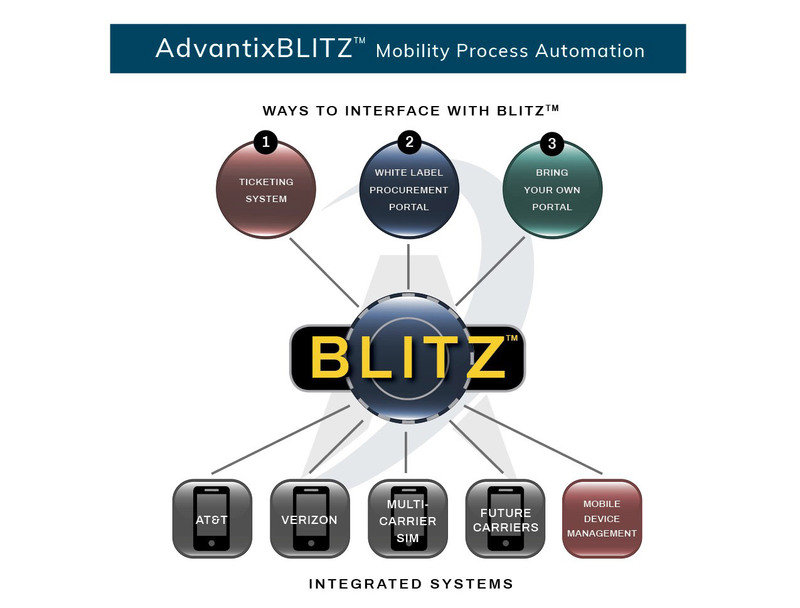 AdvantixBLITZ™ is an industry-first cloud-based API that enables end-to-end mobile procurement with carrier systems. It is the engine that drives Advantix’s renowned mobile TEM and help desk service to enterprises and government organizations across the globe. 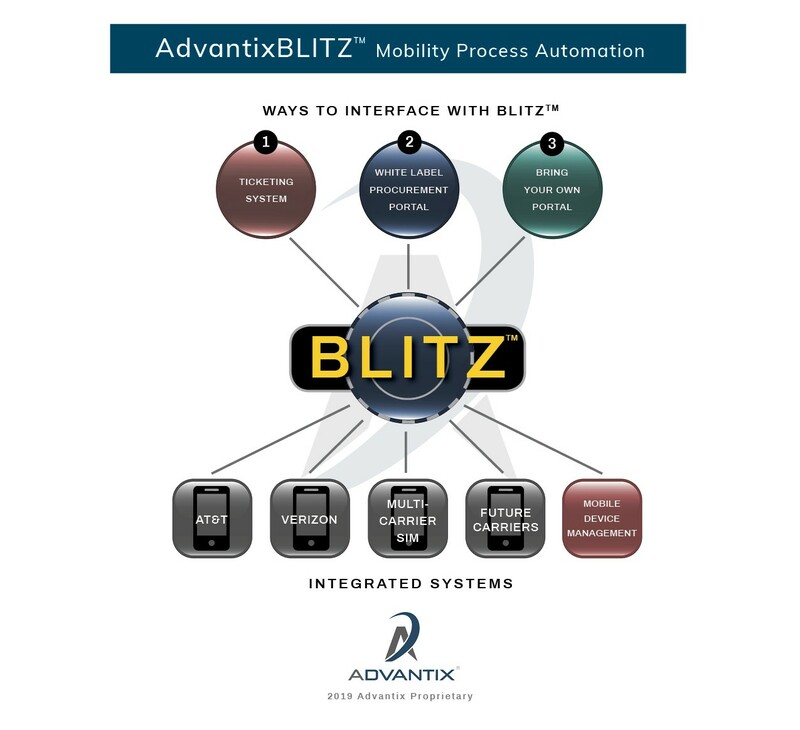 AdvantixBLITZ™ also is available “as a service” to select strategic partners, giving them multi-carrier one-stop-shop access to wireless inventory, provider equipment and plan catalog, billing data, payment processing, store orders and customer care – all automated and streamlined to make servicing customers easier and less expensive. No need for multiple integrations with carriers. 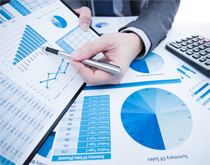 No need for a dedicated technology staff to build and maintain a platform. No labor-intensive manual processing of wireless orders and payments. CLICK HERE for more information or a demo of AdvantixBLITZ™.